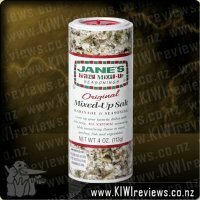 Joy in a jar... made here in NZ, and available in a 700 ml jar so there is enough for everyone. This probiotic, dairy-free yoghurt is packed with coconut goodness and is guaranteed to appeal. The delicate flavour of vanilla beans means it is delicious both on its own straight from the jar, or served with a range of menu options including cereal, fruit and curries. I am always a big yoghurt fan so I was pretty keen to try this, just the sound of it was appealing. This isn&apos;t a brand I have tried before and I actually chose to try it and review on the name alone and not knowing anything about it all. 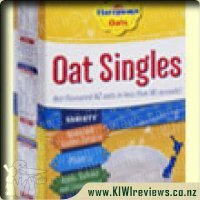 I used this in a couple ways, I love yoghurt with breakfast so I had it with museli and it was great. It seemed a little thicker than other yoghurts and had a true vanilla taste, I loved that it had the vanilla bean specks in it so you knew you were getting something really good rather than just flavoured stuff. The kids and I also had this with fruit as dessert and the kids loved it. If it got their seal of approval it had to be good! Finally I used the rest to make Ambrosia and it gave it a wonderful flavour that everyone enjoyed. 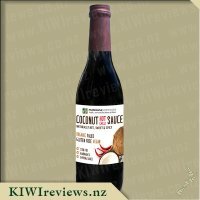 The only reason I would not be likely to buy this in the future is the price, it is quite steep however, if I did have a guest coming to stay with these specific dietry requirements then I definitely would look at having some on hand and I would recommend it as an alternative for people needing one. 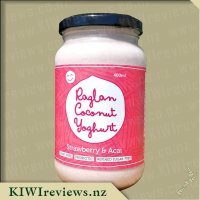 My family have been enjoying the Raglan Coconut Yoghurt range. 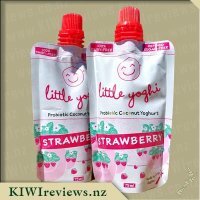 Although the girls loved the Little Yoghi vanilla pouches they didn&apos;t ask for the Vanilla Bean jar that was sitting in the fridge. To be honest I didn&apos;t mind as I knew I would love it. I think the tiny brown flecks of vanilla may have put them off. To me it was a sign that it had been made with real vanilla beans and not an artificial flavour like most yoghurts you can buy. I have had this yoghurt in my lunch box every day for the last week. When I get it straight from the jar it is slightly thicker than regular yoghurt although when it is in a Tupperware container overnight in the fridge it tends to thicken. The first day I had it at work one of my workmates asked me what I was eating as she thought it looked like cream cheese. I loved the taste of the yoghurt it was a true vanilla. I found it hard to believe that it didn&apos;t have added sugar although there was apple juice which I assume was there primarily as a sweetener. The vanilla flecks were not at all gritty. It was a lovely smooth texture. I did find that the serving I gave myself were much bigger than the nurtitional information on the label suggests, probably about twice the size. I don&apos;t think I would have been satisfied with less. This is a product I would recommend to others especially those on a dairy-free or vegan diet. It means you don&apos;t have to miss out on yoghurt any more. You know the vanilla is the real thing when you see the tiny black specks against the white of the yoghurt. 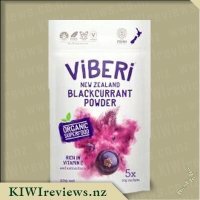 So many foods that are advertised as being "vanilla flavoured" are actually made from anything but, and some of the ingredients of those vanilla substitutes are really quite nasty. So we were delighted to see the giveaway dots in the yoghurt and know we were getting the authentic product. Vanilla yoghurt is really versatile. 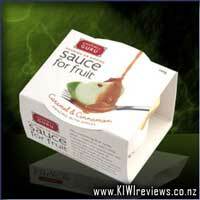 You can have it as a dessert, or serve it with mains like curries and salads, and it goes equally well with both. We tried it first with wraps: I had prepared some chilli lamb, and we used this to stuff the wraps, adding fresh tomato and carrot sticks before drizzling yoghurt on top. The carrot and tomato were both sweet, so they blended in well with the sweet yoghurt. The chilli lamb was really hot so the combination was just the right strength. Next we tried it as a dessert. We looked in the fruit bowl and decided the tamarillos, with their tart appeal, would temper the sweetness of the yoghurt. I had already tried a little of the yoghurt on its own and it was too sweet for me so I was keen to explore different ways of serving it. My daughter had hers with cereal and a slice of tamarillo; I opted to chop my tamarillo into the yoghurt and make a rather messy but very tasty mixture. Coconut yoghurt goes particularly well with blueberries. We did not have any fresh berries but there were some in the freezer. Blueberries are one of those fruits that freeze really well and emerge almost as perfect as when they went in, so we tried them next. We put some muesli into glass tumblers, added some yoghurt, and then put a dozen blueberries on top of each serving. This was the nicest way of all. We could really taste the coconut and the blueberries; this is one dessert we will most certainly be having again. The product comes in a recyclable glass jar which is a perfect size for home-made jam or pickle, so it was duly washed and put into the cupboard rather than being consigned to the recycling bin. So many products come in cartons these days so it is good to see glass being used instead. Even the children are well aware of the importance of conservation and recycling; it is great to see the younger generation taking responsibility in this area too! 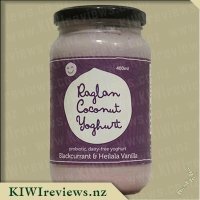 I absolutely love the range of yoghurts that Raglan Coconut Yoghurt make, it is so nice to have something a bit different and a little more fancy than your usual yoghurts sometimes, especially with a 4 year old in the house who absolutely LOVES yoghurt but can&apos;t eat much of the dairy based ones due to having severe eczema which flares with too much dairy which is why this is such a great alternative! 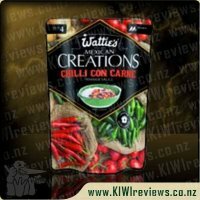 We usually buy a jar or 2 of this brand a month so I was excited to see that they had added 2 more delicious flavours to their range! 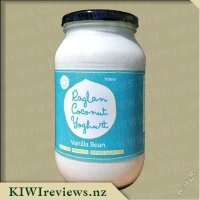 The vanilla Bean yoghurt comes in a 700ml jar which is a great size and in my opinion also a great value for money, I feel that the price is good for a large sized portion of an allergy friendly product, which from reading the label I can is safe for those who suffer from dairy, gluten and nuts! The label on the packaging is attractive I love the turquoise colour with the faint pattern on it which really stands out on the white yoghurt and with the white and yellow colours which are also present on the label! 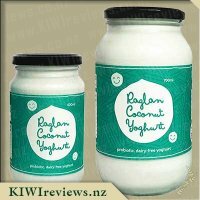 I loved the fact that the yoghurt comes in a clear jar so that you can actually see the product which you are getting and also see when it is running low, something that happened all too quickly in my house! 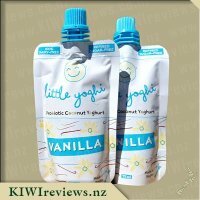 From looking at the yoghurt in the jar I could see that this was made with amazing products as I could see hundreds of tiny specks of vanilla bean throughout, I have all to often brought &apos;vanilla bean&apos; flavoured products of which have only a few specks here and there. Opening the jar for the first time I was impressed with the beautiful smell of both coconut and vanilla that greeted me, it seemed to be the perfect combination of both. The yoghurt appeared to be lovely and thick, which after a wee taste test left me thinking up ideas of how I was going to use the yoghurt. The one thing I noticed through examining the yoghurt was that at the bottom of the jar there seemed to be a centimetre or 2 of yoghurt which appeared separated maybe? However I found that after a big shake and a mix with a spoon this was rectified. 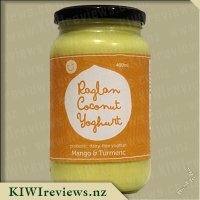 This yoghurt tasted amazing on it&apos;s own thick and creamy and so full of a beautiful coconut taste, the vanilla flavour was certainly there to, not to strong it was perfect, and I found over the past 2 weeks that it goes great with pancakes and also in place of thickened cream in butter chicken yum! With half the jar left I decided to try it out by making a healthy version of chocolate mousse, I would usually mix together some greek yoghurt with a sachet of X-50 chocolate green tea to do so, however I switched the greek yoghurt for coconut yoghurt and well the results were even better, the coconut flavour changed the whole taste of the mousse and made it so incredible and actually thicker than usual, topped with fresh strawberries, blueberries and sugar free maple syrup it was divine, even the 4 year old thought so. As far as yoghurts go this one is delicious, with the addition of the vanilla beans it makes a little different from the plain version and good for sweet dishes. 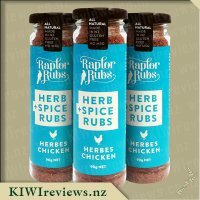 Such a wonderful product with so many health benefits which I will without a doubt be buying again, especially as it means I am supporting a small New Zealand company. 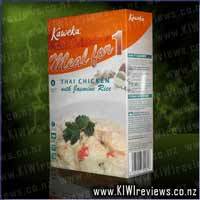 Product reviews for listing 1670: Meal for 1 - Thai Chicken with Jasmine Rice - Brand : The Kaweka Food Co.
A tasty, healthy meal solution is just minutes away with Kaweka Meal For 1. Kaweka's Thai Chicken Curry with Jasmine Rice contains tender, bite-sized pieces of chicken, marinated in fragrant oriental spices, then cooked to perfection in an authentic Thai curry sauce and served with real Thai jasmine rice. Contains a 200g pouch of Thai chicken and a 200g pouch of rice.